The finishing touch for your Patio. Enjoy the outdoors for longer. Makes outdoor living a reality. The Omega Verandah is based on our best selling (wall-mounted) Smart Canopy System; with additional Finishing Trims and frame coloured, powder-coated fixings. As a consequence; the Omega Verandah has cleaner lines and higher quality architectural detail. High quality detailed finish. Unique Verandah Components providing high quality finished Verandah. Glazed with 6mm Glass-Clear, Plate Polycarbonate. Structural grade T6 Aluminium Alloy Frame. Powder-coated Full Gloss (Hipca) White, RAL9910. Step-By-Step Installation Guide. The Omega Verandah is guaranteed for 10 years. White Omega Verandah with 6mm Glass-Clear Plate Polycarbonate - Omega Build supply a range of roofing components such as White Omega Verandah with 6mm Glass-Clear Plate Polycarbonate, diy conservatory roof kits, polycarbonate roofing sheets, polycarbonate canopy kits and much more. You are currently browsing the White Omega Verandah with 6mm Glass-Clear Plate Polycarbonate category of our polycarbonate sheets and canopies shop. 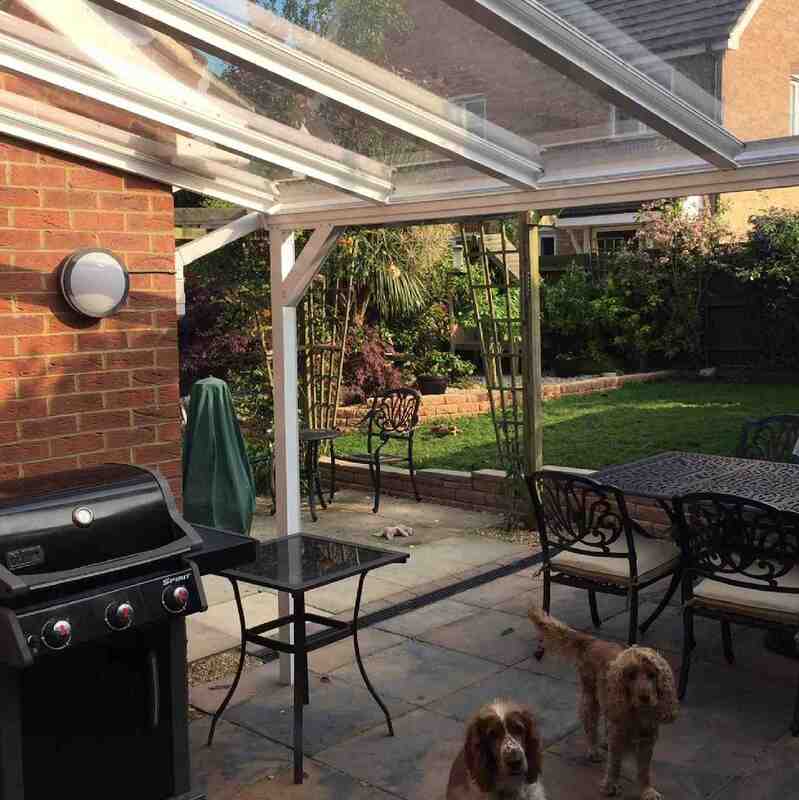 I would recommend your affordable products (Garden Patio Veranda from Omega Build | Aluminium Garden Verandas) to anyone else considering this product, as it has been superb. Omega Build Shop | Garden Patio Veranda from Omega Build | Aluminium Garden Verandas. You are viewing Garden Patio Veranda from Omega Build | Aluminium Garden Verandas, buy online today!